*Is there a collective noun for clever buggers? **which term, if either, is the most acceptable collective noun*** for Sir Terry Pratchett fans? ***is there a collective noun for collective nouns?
. 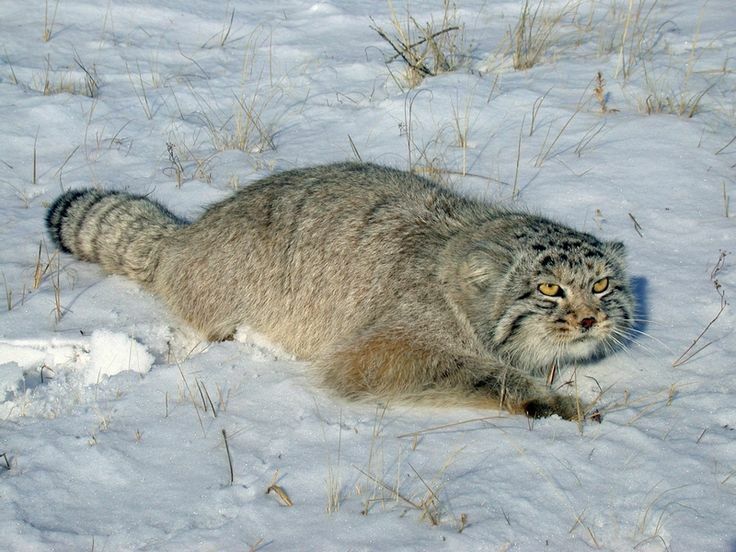 . . that the feline world has its very own Yeti, or possibly, Abominable Snowcat? 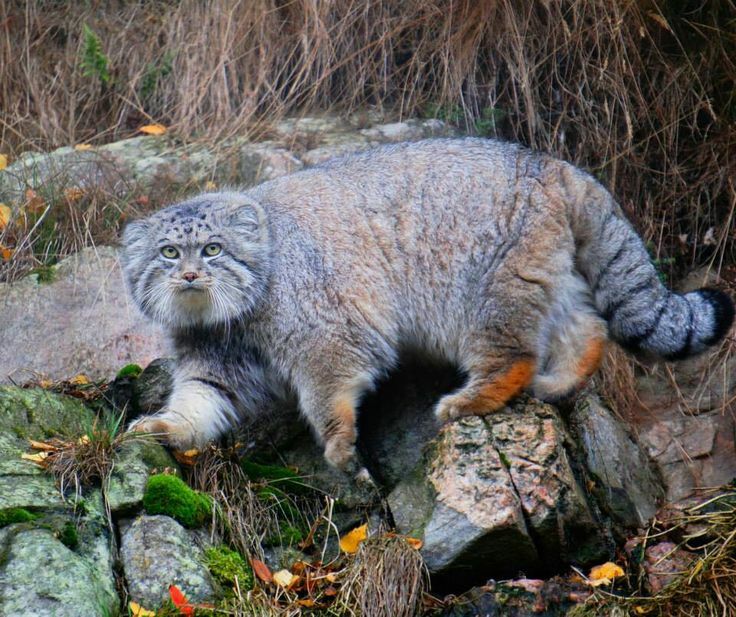 The Pallus or Manul cat, Otocolobus manul is native to mountainous regions of Central Asia, from the Caspian Sea through Iran, Afghanistan, Pakistan and northern India to central China, Mongolia and southern Russia. 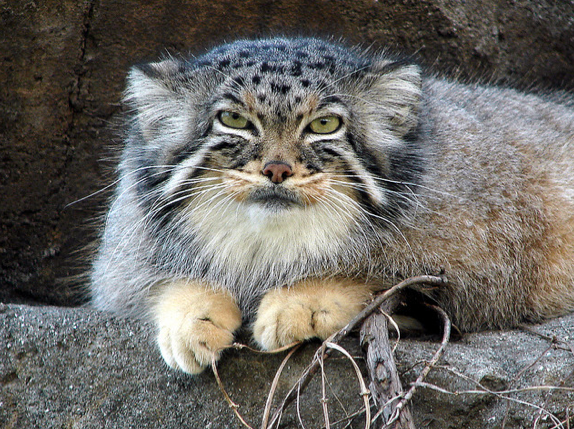 They have the longest and densest fur of any cat and have evolved to live at high altitude and have been recorded at 15,000 feet/5,000 m.
Pallas cats are best adapted to cold arid environments and occupy steppes, alpine deserts and rocky country at fairly high elevations. About the same size, but slightly heavier, than an average domestic cat, they have a stocky build and short legs so tend to be ambush predators. They make their dens in caves, crevices, or burrows dug by other animals. Like all cats, they enjoy a good snooze . . . BUT these beautiful wild animals . . . Unfortunately, they are still hunted in the wild for their fur as well as for food, their habitat has been diminished and their main food source, the pika, is frequently poisoned by humans leading to the cats themselves being poisoned. Sadly, they are also trapped and bred for the exotic pet trade. 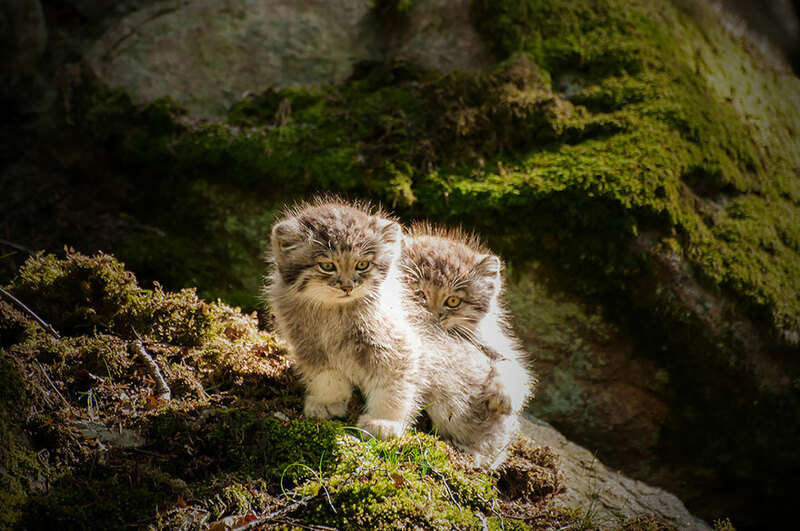 However, many zoos are part of a captive breeding programme and there are now conservation projects dedicated to protecting Pallas cats in the wild. Last edited by Grace Speaker on Thu Jun 11, 2015 08:57 am, edited 1 time in total. Sqweee! Well fluffy cat!! I bet they don't get cold paws , makes Dinky my short haired caramel tabby, look like a real skinny specimen. Love the round pupils they have, and the kittens are adorable. its sad they are hunted and sold as pets, poor things, thanks for sharing that, made my day. 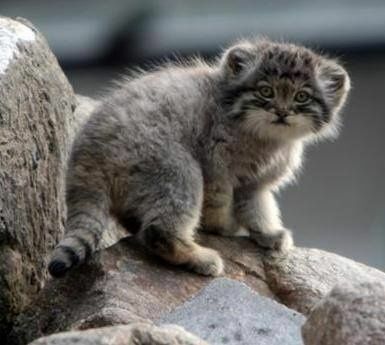 I don't think that I've ever seen a photo of a Pallas kitten. 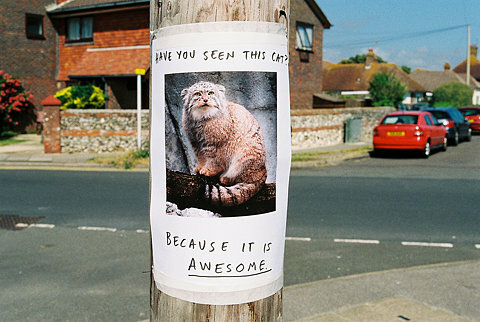 Basement wrote: I don't think that I've ever seen a photo of a Pallas kitten. The EARS!!! are soooo cute! I, too, may faint from the squeeeeee factor. Wanna wanna wanna kitty (though knowing they do so poorly in captivity, I don't really. But wanna see one in the wild! phalarope wrote: The EARS!!! are soooo cute! I, too, may faint from the squeeeeee factor. Wanna wanna wanna kitty (though knowing they do so poorly in captivity, I don't really. But wanna see one in the wild! Grace Speaker wrote: *Is there a collective noun for clever buggers? LOVE "A Forum of Clever Buggers" and also "Panoply of collective nouns" as in my dictionary, Panoply means an 'extensive or impressive collection' and, rather pleasingly, Panoply* is also a NASA cross-platform application that can be used to 'slice and plot geo-referenced latitude-longitude, latitude-vertical, longitude-vertical, time-latitude or time-vertical arrays from larger multidimensional variables' - seems rather fitting! Not so sure of 'convention' though, as people could get the wrong idea and think that we're **shudders** conventional . . . the horror!
. . . that a member of this Forum owns their very own Oyster Reef in New York Harbour? Can't help wondering if Carol also owns a veggie patch full of carrots so that she can make Nanny Ogg's famous Carrot and Oyster Pie . . .
. . . was the same bloke who played Inigo Montoya in The Princess Bride?? Sorry, late to this party. I must now resist the urge to bore everyone to tears with my many many useless factoids. Did you know that a baby platypus is called a puggle? And that the plural of platypus is either platypus or platypuses but NOT platypi? Well now you do.